Sketch along with us! Don’t be frustrated if you cannot keep up. Feel free to stop, rewind and rewatch. And don’t give up drawing! Keep practicing! 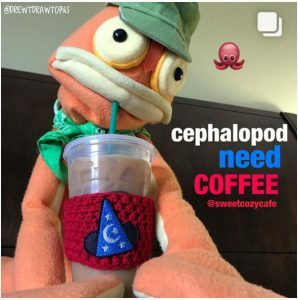 If you have any questions, post to the comments on the YouTube channel, or find Joe Foo or Drew T Drawtopus on Instagram (links below). A Kuretake Disposable Pocket Brush Pen (Extra Fine) was used in the inking of this video. 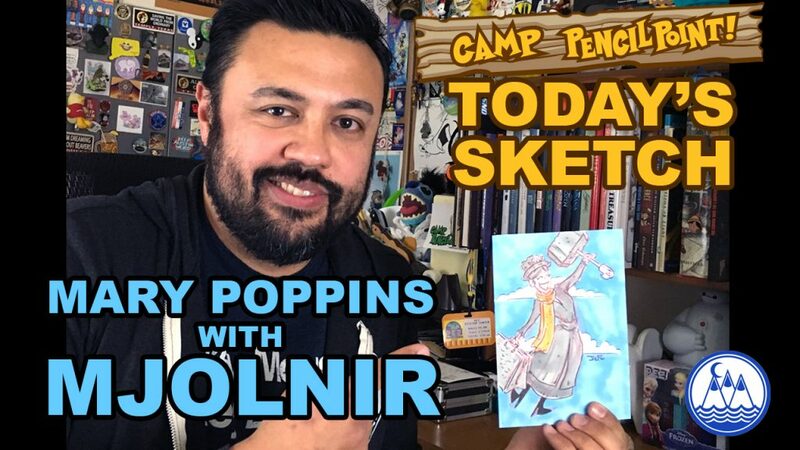 Show us your Mary Poppins, or a character you think is worthy of holding Mjolnir. Post your art to social media and use the hashtag #CAMPPENCILPOINT. The artists of Camp PencilPoint will keep an eye out for these! Please subscribe to our YouTube channel for all the latest drawing videos! Visit http://camppencilpoint.com for more tutorials, news, appearances and arts and stuff.